Our mission is to provide Olympic-type sports, giving players continuing opportunities to develop physical fitness, demonstrate courage, and experience joy. Tennis training programs have been developed and implemented to improve athletes overall physical fitness & sports-specific competence. 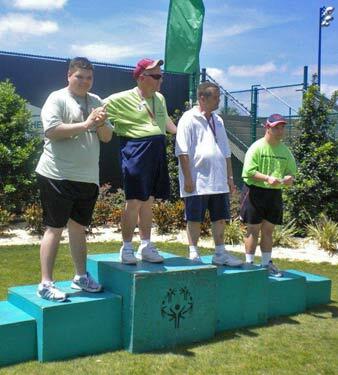 Persons are eligible for Special Olympics competition provided they are eight years of age or older have been identified by an agency or professional as having an intellectual disability, and have registered to participate in Special Olympics through a Application for Participation form ( Medical form).